Great free poster. Print and place near your instrument. 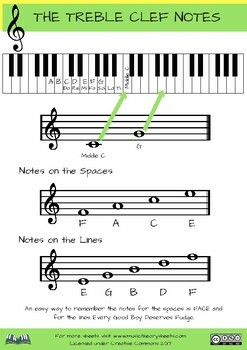 Treble Clef Notes - lines and spaces. Free to share and use.